Why is Hyundai Called Hyundai? In the U.S., Hyundai is best known for their reliable and diverse line of sedans, SUVs, compact cars and hybrids. But in South Korea, the Hyundai corporation was integral to the rebirth of a devastated nation in the wake of the Korean War. The Hyundai Engineering and Construction company was established in 1947 by Chung Ju-Yung, a North Korean-born entrepreneur who hoped to both assist and benefit from Korea’s post-war reconstruction era. Ju-Yung was born in Kangwŏn province in 1915 while the country was under Japanese control. During his younger years, he tried to escape his difficult life as an impoverished farmer many times. He made four excursions from Kangwŏn province, trying to reach Seoul, and spent most of this time working in various construction jobs, though he often had to return to the family farm to help his father make a living. After having some success in the rice trade and spending a number of years shuttling between Seoul and Asan, Ju-Yung decided to open a service station called A-do Service Garage. Ju-Yung’s business was quite successful and in 1946, he founded Hyundai, or the Hyundai Civil Industries, as it was also called back then. Why is it called Hyundai? Chung Ju-Yung wanted a name that would symbolize the potential for spiritual and industrial regrowth that he hoped to help kick-start in South Korea. Hyundai in Korean is “hanja” which means “modernity.” This brand name was the perfect choice for his lofty aspirations. In its early years, the Hyundai corporation was mainly concerned with construction. They received a number of government contracts to rebuild South Korea’s transportation infrastructure after the destruction caused by the war. 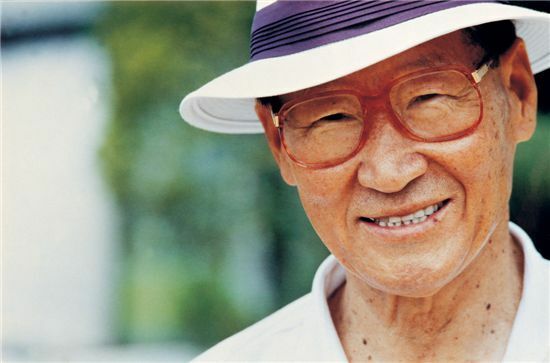 Over a number of decades, his company designed and constructed crucial developments like the Kori Nuclear Power Plant, the Gyeongbu Expressway, the Soyang Dam, and the Ulsan shipyard, which is the largest shipyard in the world. 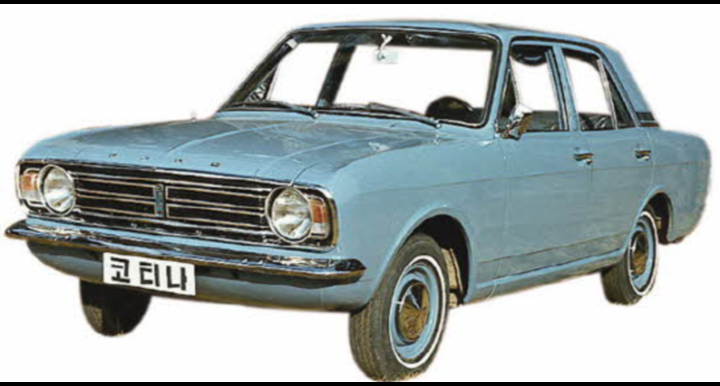 Hyundai Motor Company was started in 1967 and rolled out their first car, the Cortina, in 1968, which was actually a Ford model car but was manufactured by Hyundai for the South Korean market. About half a decade later, the company wanted to design their own distinct models so they enlisted the help of George Turnbull, the managing director for the popular Austin-Morris brand, to guide them through the process. With a number of other designers and engineers, Turnbull developed the Pony which debuted at the Turin Motor Show in October 1974. This was a compact, rear-wheel car with a hatchback design created by Italdesign Giugiaro. SEE ALSO: Why is Sabura Called Sabura? Hyundai entered the American market in 1986 with their very popular Excel. With 168,882 sales that year, Hyundai set a record for selling the most cars in its first year of business. Though sales dipped somewhat in the following years, Hyundai continued to invest heavily in their American exports and picked up quite a few prestigious accolades, including a “top pick” award from Consumer Reports in 2008 for their Santa Fe model and a North American Car of the Year award in 2012 for their Elantra. Though most Americans know Hyundai as the trusted manufacturer of the Accent, Sonata, Elantra, and Tiburon, the company’s history is actually much more compelling and intimately tied to the rebirth of South Korea in the twentieth century. What other entrepreneurs have had as big of an impact on their country as Chung Ju-Yung? Comment below!